Munich, February 12, 2019 – Clariant, a world leader in specialty chemicals, today announced the successful performance of its StyroMax UL3 ethylbenzene dehydrogenation catalyst at the styrene monomer production facility of Shandong Yuhuang Chemical (Group) Company. 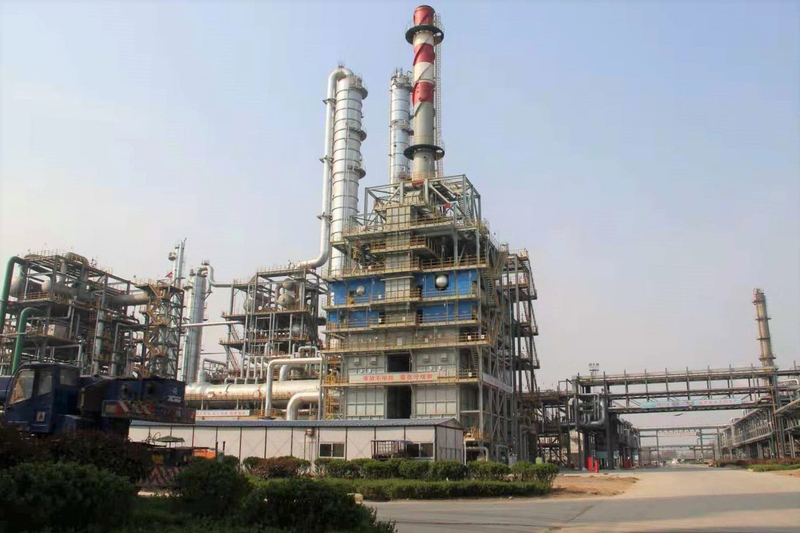 Located in Heze City, Shandong Province, China, the facility began start-up of the catalyst in March 2018, and already reports highly satisfactory results, with increased yields and greater production efficiency. The Shandong Yuhuang styrene monomer production unit has improved productivity by 50 kilotons/year, which represents a value of approximately $13 million. Furthermore, the catalyst achieved this favorable performance at a stable steam-to-oil ratio as low as 1.1 by weight, thereby providing additional savings of around $2.5 million from reduced steam consumption. As StyroMax UL3 is expected to continue its strong performance, Shandong Yuhuang anticipates a total savings of more than $15 million annually. Founded in 1986, Shandong Yuhuang has developed from a small private plant into a large, privately-owned company with 5 production locations, 15 subsidiaries, and more than 5000 employees. The company’s main products include styrene, gasoline, diesel, MTBE, DME, isobutylene, polystyrene, and polypropylene, among others. As a quickly-growing manufacturer of chemicals and plastics, Shandong Yuhuang is continually looking at innovative solutions to drive down costs. Introduced in 2016, StyroMax UL3 was developed to reduce process expenses for styrene producers operating at ultra-low steam-to-oil ratios. Whereas previous catalysts could offer either high activity or selectivity at such conditions, StyroMax UL3 is the first catalyst to offer both. Its activity increases styrene monomer yields, while its improved selectivity minimizes the formation of by-products, such as toluene and benzene, which are typically less valuable than styrene monomer. Due to its suitability for ultra-low steam-to-oil ratio operation (approx. 1.0 by weight ratio), the catalyst reduces steam consumption, thus enabling a far more sustainable and economical means of styrene production. In addition, Clariant Catalysts also offers its customers dedicated engineering support. This includes start-up services when the plant is first placed online, and subsequent assistance to maintain optimum operation performance of catalysts, as well as onsite troubleshooting services when required.